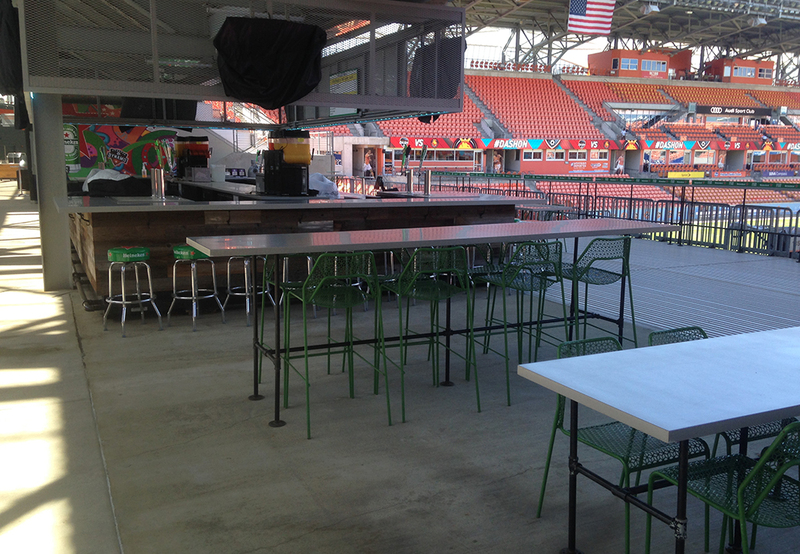 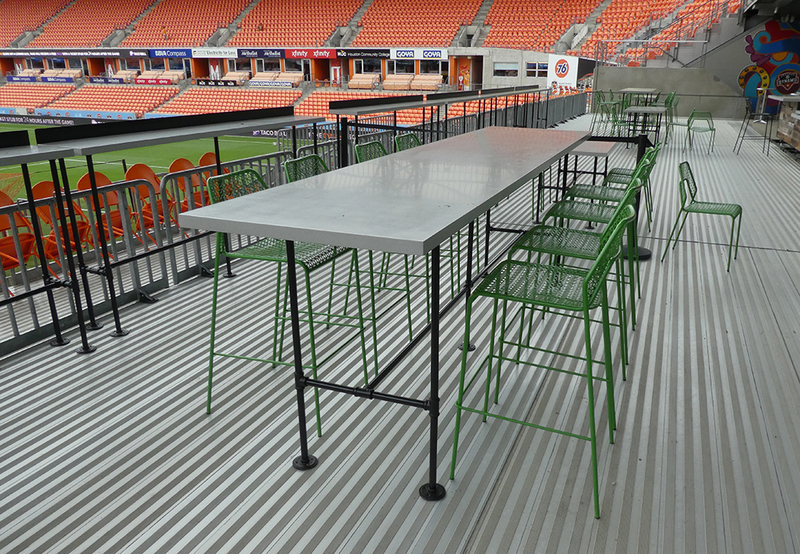 BBVA Compass Stadium – Fish Construction, Inc. 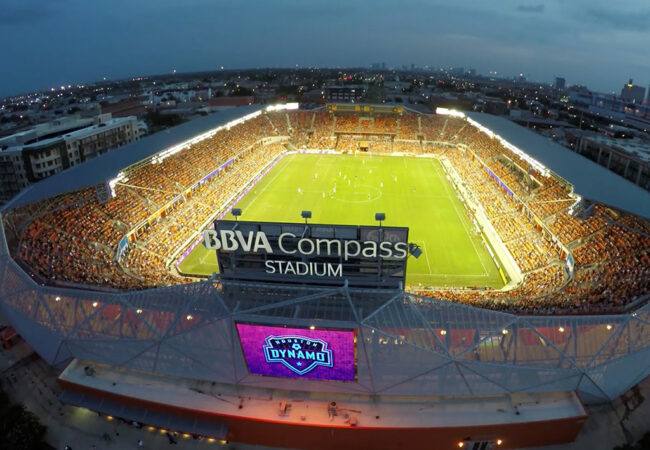 This 22,000 capacity stadium is one of the premier soccer stadiums in North America, hosting numerous national and international sports events and concerts since its opening in 2012. In addition, this stadium has become an important player in the revitalization of the eastern side of downtown Houston. To reflect the growing modernization of the surrounding community, in 2016 the stadium partners embarked on a redevelopment of the concession areas called Tastes of Eado Concession Upgrades. FCI’s role in the upgrades included updating various bar and dining areas to accommodate the big changes in the concession program. 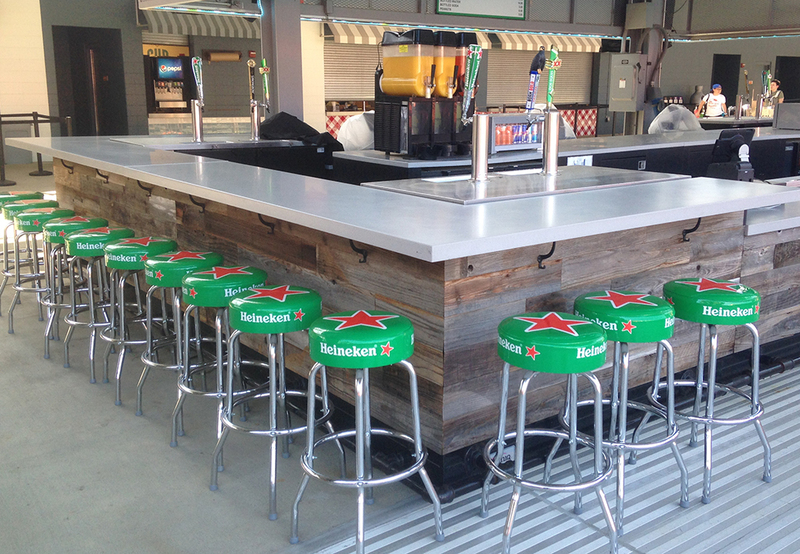 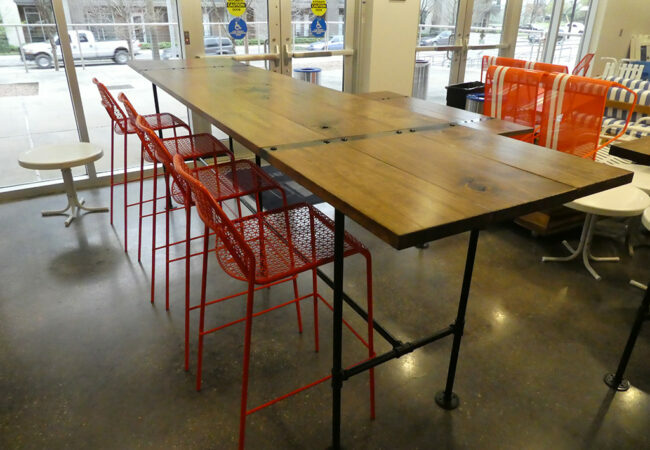 For the new Tecate Social Terrace, FCI furnished dining and bar height tables in the industrial theme, utilizing pipe-type supports with corian tops, along with a 56-foot drink rail of the same materials. In the East End Ice House, FCI used a reclaimed wood theme to fabricate dining and bar tables, branding the tables with the Texas star. 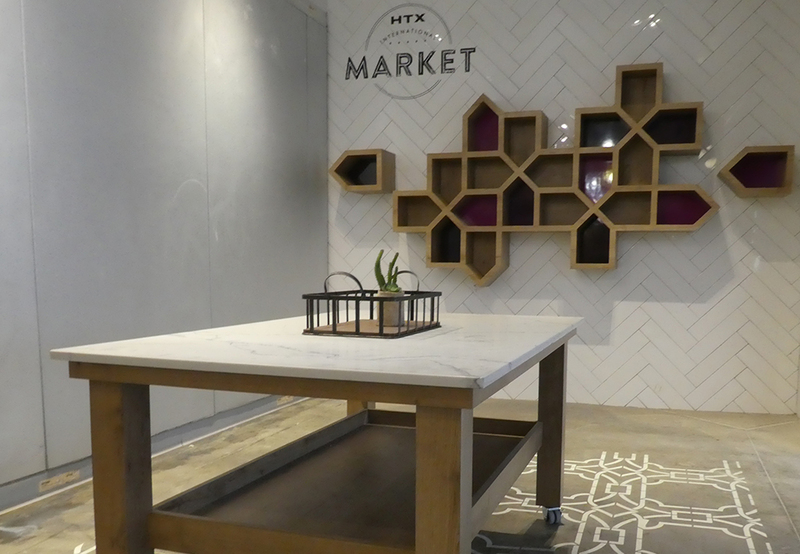 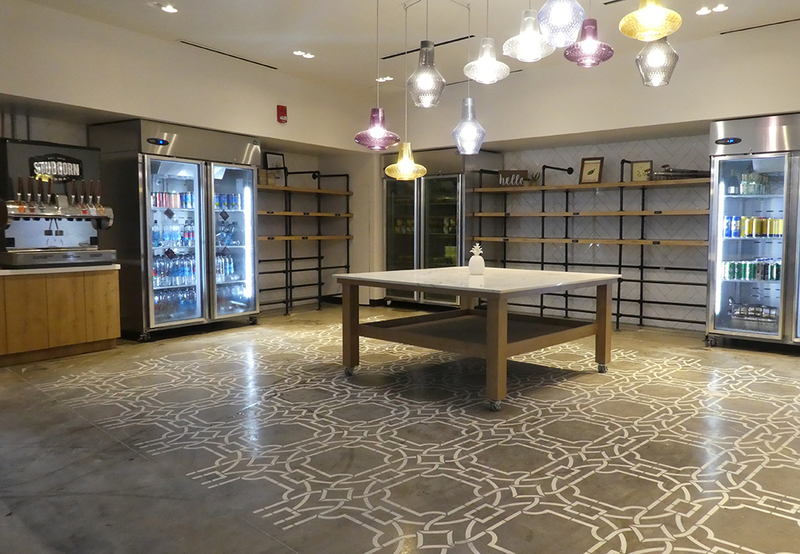 In the HTX International Market, a walk-in retail area offering sandwiches and over 20 international beers and wines, FCI created store fixtures which also followed the modern industrial inspiration.